ROME, May 3 2017 (IPS) - The cultures and very survival of indigenous peoples in Africa are seriously threatened. They are ignored, neglected and fall victims of land grabbing and land dispossession caused by extractive industries, agribusiness and other forms of business operations. These are some of the key findings of a major report “The Indigenous World 2017,” on the state of indigenous peoples worldwide, issued on the occasion of the tenth anniversary of the United Nations Declaration on the Rights of Indigenous Peoples. The report, launched on 25 April by the International Working Group for Indigenous Affairs (IWGI) during the UN Permanent Forum on Indigenous Issues meeting (24 April—5 May), emphasises that in spite of progress, there are still major challenges facing indigenous peoples in Africa. Africa is home to an estimated 50 million indigenous peoples, that’s around 13 per cent of the total of 370 million indigenous peoples worldwide. They live in all regions of Africa, with large concentrations in North Africa where the Amazigh people live. In West Africa, there are large pastoralist populations in countries like Niger, Mali, Burkina Faso, Cameroon etc. There are also large concentrations of indigenous peoples in East Africa with big pastoralist populations in countries like Ethiopia, Kenya, Uganda and Tanzania. Hunter-gatherers are found in many countries in central and Southern Africa, though they are smaller in numbers than the pastoralist groups. In several African states, explains IWGIA, “indigenous peoples are yet to be recognised as such.” Arguments of all Africans being indigenous or that the concept “indigenous peoples” is divisive and unconstitutional are persistently expressed in political statements and continue to shape policies of a number of African countries. Large-scale dispossessions of indigenous peoples’ lands remain a significant challenge in several African states, says the report, adding that the global drive for raw materials, agro-business and building major infrastructure projects are pushing indigenous peoples to their last boundaries. A recent African Commission’s report on extractive industries and indigenous peoples reveals the negative impact several mining, agro business and logging projects are having on indigenous peoples’ land rights and access to natural resources, according to IWGIA. In several cases, tensions with indigenous peoples have led to open conflicts, including loss of lives. In this regard, the African Commission has sent urgent appeals to a number of African governments on serious human rights violations affecting indigenous peoples. Marianne Wiben Jensen, IWGIA’ senior advisor on Africa and Land Rights, told IPS that Africa’s indigenous peoples are victims of land grabbing and other forms of land dispossession caused by extractive industries, agribusiness and other business operations. “So they have very limited possibilities of voicing their perspectives and priorities and influencing their own futures,” Wiben Jensen warned, explaining that they typically live in marginalised and remote areas with very limited and bad social infrastructure. At the same time, Wiben Jensen added, indigenous peoples in Africa have proven to be very resilient, and despite the many problems they face and the lack of support they receive from their governments, they are still there and manage to survive in often very harsh environments based on their unique indigenous knowledge of the nature and the natural resources. 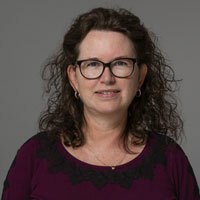 Wiben Jensen also warned that violence against indigenous women and girls continues to feature several indigenous communities in Africa, including harmful cultural practices such as Female Genital Mutilation (FGM), early or forced marriage and inaccessibility of good standards on reproductive rights. Overall, one could put African states into three categories as far as the protection of indigenous peoples’ rights is concerned. Third, there are African states that continue to contest the existence of indigenous peoples in the continent or the relevance of the concept in Africa. There are numerous reasons for this denial, including a misunderstanding of what the concept “indigenous peoples in Africa” means. 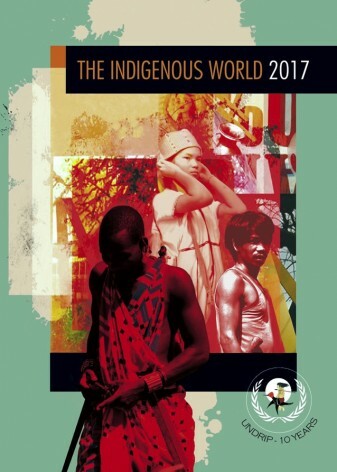 The Indigenous World 2017 is IWGIA’s 30th report on the status of indigenous peoples and comes in a special edition on the occasion of the 10th anniversary of the UN Declaration on the Rights of Indigenous Peoples. It provides an update of the current situation for indigenous peoples worldwide and a comprehensive overview of the main global trends and developments affecting indigenous peoples during 2016. It contains 59 detailed country reports and 12 articles on defining global processes in a total of 651 pages. It also highlights that despite some encouraging national achievements, the country reports in this year’s edition continue to illustrate the great pressures facing indigenous communities at the local level. Over 70 experts, indigenous activists and scholars have contributed to the Indigenous World 2017, which has been published with support from the Danish Ministry of Foreign Affairs / Danida, Denmark’s development cooperation.